The following information will assist you with measuring your dog correctly. 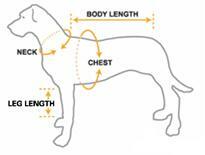 Chest - Measure around the dog's chest at it's widest point, which is typically right behind the front legs. Body Length - Measure along the dog's backbone from the collar to the base of the tail. The chest measurement on the size chart is the most important measurement as this must be large enough to go around your dog's chest. Then check that the body length on the size chart (where shown) is shorter or equal to your dog's body length to ensure it will not cover beyond the tail. Please see the individual size charts on each product page for all dog clothing. All measurements are of the actual clothing item, we advise customers to select one size larger if your dog's measurements match the item measurements exactly. Most of our dog clothing is sized according to chest measurement only. Where only chest measurements are shown please use your dog's chest measurement to select a size and the length will be suitably proportioned, if you dog is a longer dog breed we would recommend selecting one size larger than the chest measurement suggests. Please see the individual size charts on each product page for all dog footwear and accessories. All measurements for footwear (excluding socks) are of the actual item's sole, we advise customers to select one size larger if your dog's measurements match the item measurements exactly. If you need help selecting the correct size for your dog please Contact Us with details of your dog's measurements and the products you are interested in. We highly recommend you measure the individual dog where possible to get the best fit. 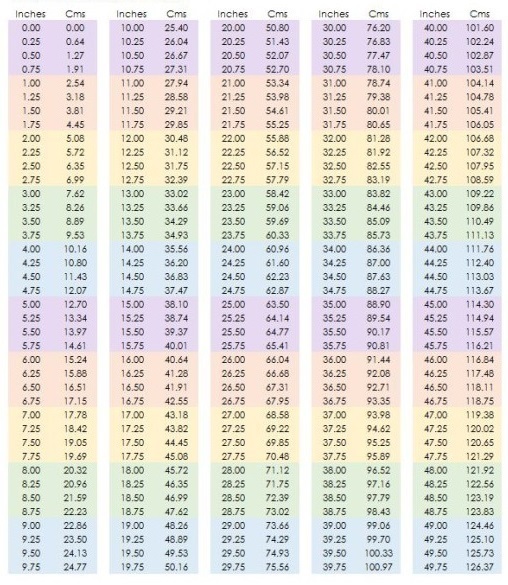 However the following chart shows average breed measurements which may be used as a guide when measurement is not possible.